RIO DE JANEIRO — U.S. soccer goalkeeper Hope Solo’s two howlers (read: very terrible plays) last night against Colombia led to a shocking 2-2 draw for the U.S. women’s soccer team, who still advance first in the group at the Olympic Games in Rio de Janeiro despite Solo’s between-the-legs gaffe. Dominant goalkeepers are great, but they only get you so far. 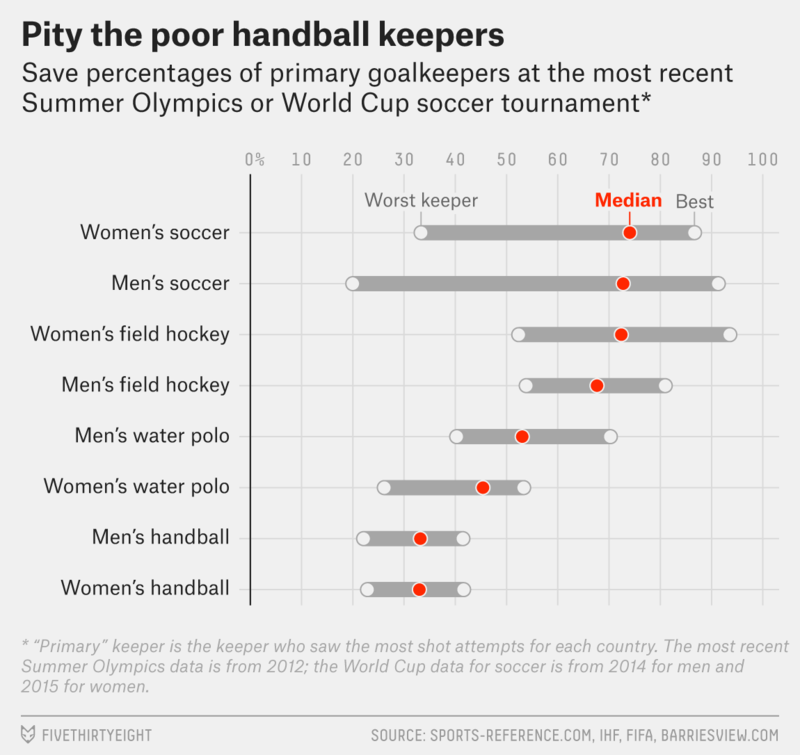 Of the eight “best” keepers shown above, only two — Josip Pavić for the Croatian men’s water polo team and Kari Aalvik Grimsbø for the Norwegian women’s handball team — took home a title. Johan Sjöstrand helped guide the Swedish men’s handball team to silver, but none of the other five keepers medaled (or placed at the World Cup). Allison reported from Rio, and Reuben from New York.